Upon arriving at Bacharach, patients receive a leisure assessment to determine what they enjoy doing and that assessment is used to create a personalized therapeutic recreation schedule. 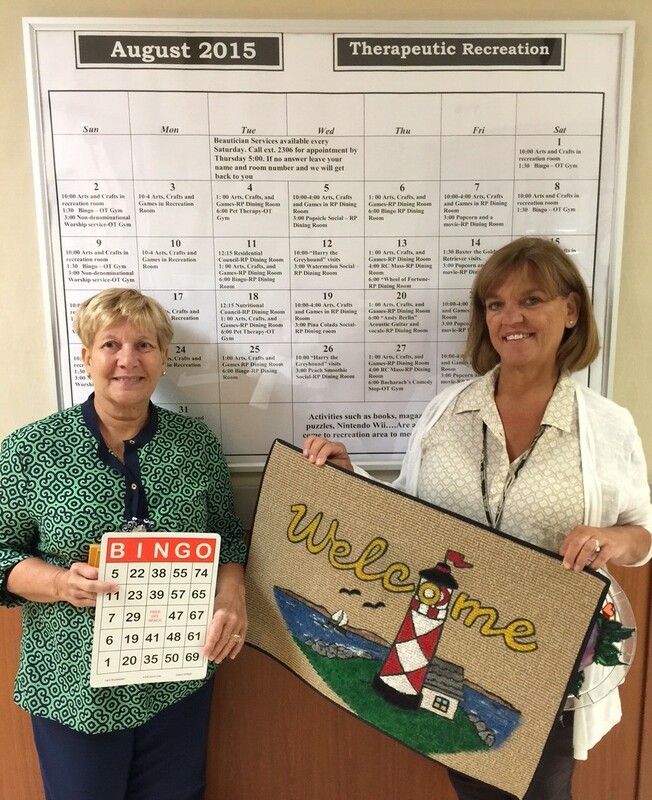 For example, one patient loves playing Mahjong, a game that involves picking up tiles, so the therapeutic rec team sets up a Mahjong game. Another example is a weekly poker session organized for a group of men who love playing cards. Regardless of a patient’s interest, each session feels like so much fun that it doesn’t seem like therapy. The list of activities at Bacharach’s therapeutic recreation department is endless. Patients can participate in crafts, try different types of therapy like art and music therapy and experience live performances, including barbershop quartets, hand bells and even a stand-up comic. The local community even gets involved. Stockton students who are interested in therapeutic recreation as a career come in and volunteer their time. They set up various crafts and activities for patients to enjoy, which also gives them a chance to interact with patients.